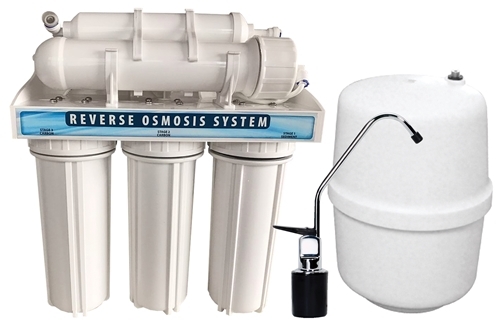 5-Stage 75 GPD Reverse Osmosis system includes everything you need to install it. 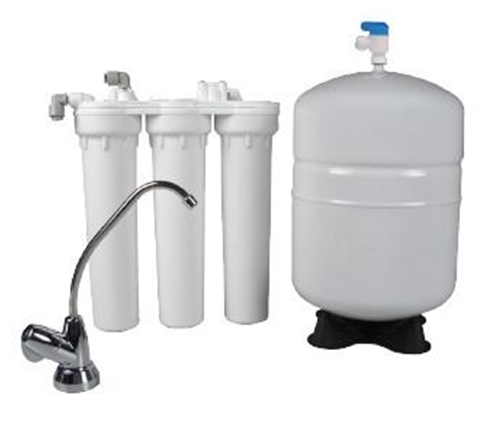 This system provides low cost drinking water in the convenience of your home or office. The manual fast flush feature allows you to purge the membrane of scale and iron in rough water applications. The push-to-connect fittings are labeled and allow for quick and secure installation. The dimensions are: 18" tall, 16" wide and 6" deep. The 3 gallon storage tank is 9.7" wide and 15.3" tall. A system shut off valve, drain saddle, tank shut off valve and all tubing is included along with the membrane and filters. 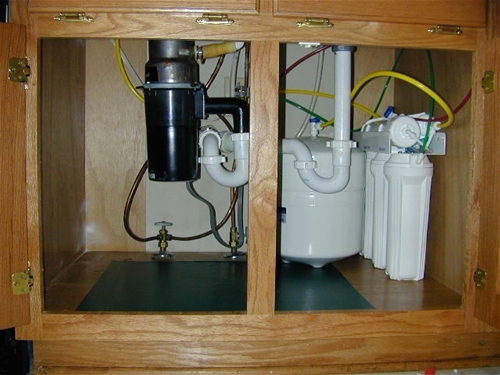 The inlet, drain, tank and faucet line connections are all labeled for accurate installation. 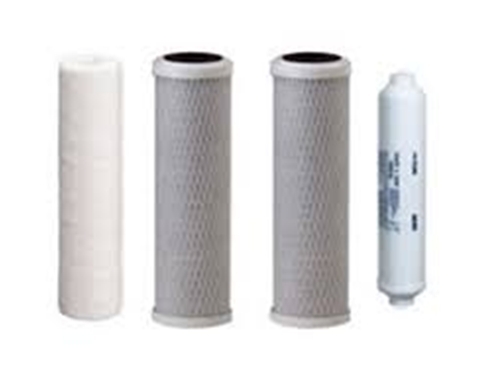 A filter sump wrench is included. Minimum pressure required is 25 psi at the unit inlet line. 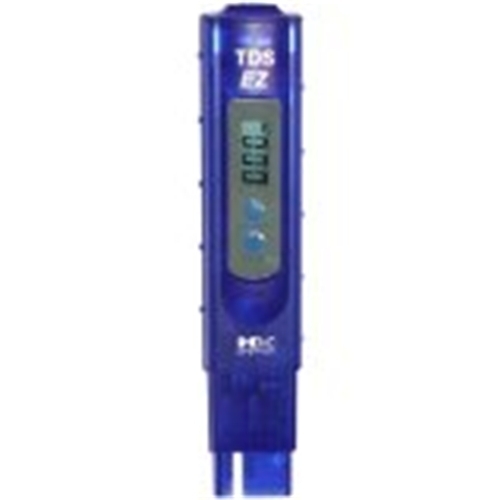 Maximum total dissolved solids (TDS) is 1500 ppm.